You must make reservations at least 5 minutes in advance of the time at Miller Tavern - Downtown. We have parking located directly below us in the Pinnacle Condo building. The entrance is located off Harbour Street. We are located about 5 mins south of Union Station and across the street from Queens Quay street car terminal. 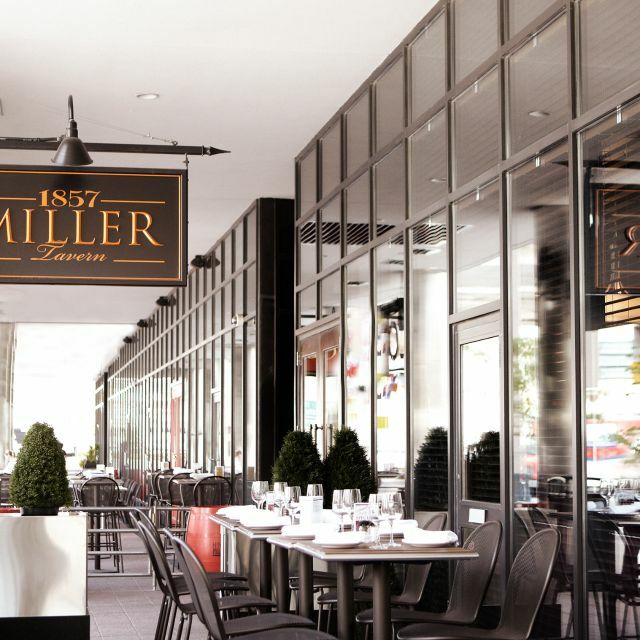 The Miller Tavern is bringing our landmark food and historic vibe to the heart of downtown Toronto. Come experience our Serious Seafood and Superb Steaks, only steps from the Scotia Bank Arena. We are the ideal spot for a quick meal before the game or concert...and perfect for after work cocktails and snacks. I always have a great experience at the Miller but what was particularly special this time was the amazing service we received from our waitress. The only unfortunate thing is that I didn’t catch her name or I would have noted it here. We popped into Miller for lunch after our final AERA conference session. Omar took GREAT care of us! Our meal was great, our drinks were great, and we had an all-around pleasant experience. Thanks so much for your hospitality! Great for sports watching. Food is a bit overpriced for the quality but the drinks are creative and strong! A very enjoyable meal with great service. Crab cakes were delicious. 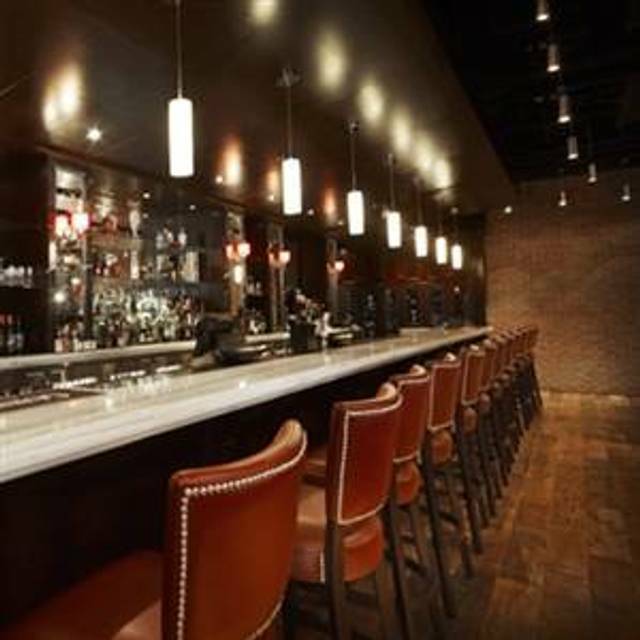 Very nice ambiance and so close to Scotiabank Arena. As expected from the name, it's a tavern ambience - but the food is a cut above the typical basics of similar restaurants in the area. A worthy companion to the original by Yonge and York Mills. We had a great dinner at the Miller Tavern! We arrived at the restaurant before it opened and they let us come in out of the cold early. The drinks were good.... food was good... and the service was good! We found it a little expensive for what we got. But overall it was a nice night! My boyfriend and I as long as another couple went to the miller tavern for dinner before a concert at the scotiabank arena. None of us had every been there before and we all loved it! Our waiter Kenny was one of the best servers we have ever had and made the experience so pleasant! He brought my pregnant best friend a complimentary chocolate cake and ice cream dessert because she said she had been craving brownies and ice cream! He was very attentive and knowledgable and so easy to talk to. The atmosphere was great and the food was delicious with sizeable portions. Would definitely recommend it to anyone and will be returning again! The food was very good but it is seriously over priced. A chicken sandwich for $24? Give me a break. The best part of night was Alana. She was awesome, professional and was definitely in control of the room. We saw a mouse. Personally that didn’t underscore the greatness of the spinach dip, which to me was really awesome, but everything else was just meh. The fries are obviously frozen and barely worth eating, and that’s really disappointing because in the past I remember decent fries. I used to love their burger, yesterday’s was forgettable. Also the staff seemed a little frazzled even though the restaurant was at best 30% capacity. Great food and service as always! Will visit again very soon. Steak with side ceaser perfect Keto choice! We were rushed out during dinner as the restaurant was closing early for maintenance. Was lucky to have Heather as a waitress. What fantastic service! We stopped by for a quick dinner before seeing a sports game at the ACC. Pleasant evening, and servers. The food was good and quickly delivered, which we appreciated. Kansas Steak was outstanding! Service was friendly and efficient. Despite the fact that there were few people there on a Monday a lunch the service was very slow. We had the prime rib steak and for the price it did not bring the quality. It was very bland and while understood that it was a fattier cut of meat, it was grisly. The crab cakes were delicious. The ceasar salad could have come from a pre-mix you can find at any local grocery store. The Irish coffee was lovely but should have come wrapped or in a glass with handle as too hot to hold. A portion of our dessert order was forgotten about (but also not billed) and we found we had to remind our server a few times to bring items that were requested - water, cream, wine. Perhaps an off day. This place was very good. I had Kansas City Steak and My wife had Fillet Mignon. Steaks were really good. It melts in the mouth! We've ordered Mojitos, too. They were the best ones that we've ever had in Toronto. Overall, this place was amazing. Toronto needs to eat here. Thanks again Kenny for making our dinner relaxed and pampered. Awesome job by the chef(s), bar keep and serving staff- quite a team that make it private yet friendly! I am longtime customer of the original Miller Tavern in North Toronto so felt confident in taking my customers for a Lunch Meeting to the Bay Street Location. Its hard to believe these two restaurants are owned by the same company. The Bay Street location has terrible service highlighted by an inattentive, rude waitress. Several of us ordered the Steak & Frites under her recommendation which was served cold and undercooked where we could hardly chew our food. The frites were also bland. As a group we reluctantly at the food....I mean, why bother complaining when she disappeared after the food finally landed?? Most annoying was the VERY LOUD music that played throughout the lunch hour. I asked the waitress to turn it down. She ignored me. Finally got a manager to do it after literally having to shout instructions at him since he could not hear me over the noise!! The only purpose for this Miller MIGHT be a quick pint before or after a Leaf game, but there are lots of better options near the Scotia Arena so I would just avoid this place. The restaurant was very loud. Hard to talk without shouting. Food was good but wrong sides came out with one meal. Overall experience was ok not great. Our waiter was awesome. Food was great and wine prices were at ‘restaurant reasonable ‘ prices . Highly recommend for an informal dinner with good quality and excellent service. The restaurant is alright, the music in the restaurant was too loud and so hip hopish. the pad thai was nice but over priced, the ambiance would of been nice except for the loud music. I had issue with my meal when they brought me a lime wedge the was brown and old, i get it but it's like ordering a salad with wilted leaves. server was alright he didn't know of of events near by to make a conversation except fot the comed show at the scotia centre. my wife ordered the chicken club and later had digestion issues. Great spot for a business lunch at the base of Bay Street. Table was quiet and private. Close to Union Station (GO, TTC, VIA). Food and service was generally good but a little slow having order taken even though restaurant was not that busy. Also: it's a little presumptuous to have 18% as the lowest preset choice for tip on the payment terminal (especially in light of raised minimum wage). Food price + tip = high overall cost of a simple lunch, therefore lower value. Food could have been a little warmer, but flavourful. The atmosphere is more relaxed than the classiness of the menu. Good experience overall. The baked brie was amazing. Great spot to eat before a concert! Staff were friendly and the service was fast. Service was awful. Chef didn't know how to cook a medium well steak, server forgot one of our desserts. When asking for condiments, request took 10 minutes (food was cold). Food was just ok. Very overpriced for the meal. $25 for a burger- $15.50 for a glass of wine! Place had sewer odor happening inside (plumbing or outside construction?) Service mediocre. Wasn't busy on a Sat. evening/concert event night - that says it all. Very nice staff. Overpriced food that was just okay. Dinner came before drinks. Good location near Air Canada Centre. A lot of construction nearby made for loud background noise when sitting on patio or by open doors. Food was good. Have the turkey club. $22. A bit pricey for a sandwich but good quality. The steak fajita was disappointing. It came pre-assembled and lacked any excitement. It was one small fajita, a thin layer of sauce, 5 small pieces of steak lined up inside and a slight amount of veggies alongside it. The steak kebob with tzatziki was surprising as it was ground meat. It was dry and not tasty. The tzatziki didn't have a fresh taste and overall the meal was boring. We had lots of attention when we first arrived but the wait staff were not around when we needed them. I think it's the layout of the place. I don't know what about this place would attract people there. Maybe it's not as busy as others. My colleague and I both gave it a "never again". Had the surf and turf which was good. The French fries however where old and soggy. Overall ok food not perfect.